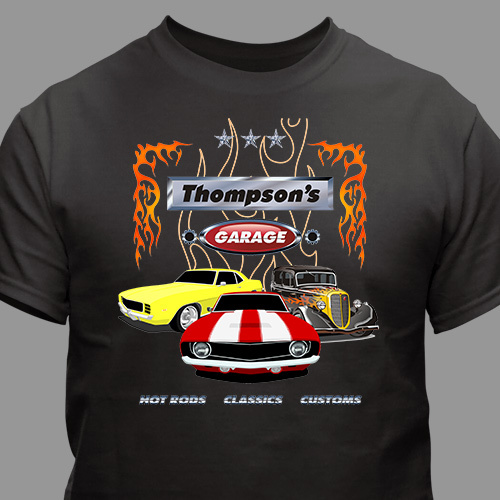 Whether he's into hot rods, custom classics or muscle cars, these Garage PersonalizedT-Shirts will be right up his alley. Customize it with any name! This Personalized Shirt is made of 100% preshrunk cotton, machine washable and available in adult sizes S-3XL. Makes a great gift for any car lover! Couldn’t have been better. Love them will definitely get more in the future. I got this shirt for my husband. He loves it! The design is nice and the material is good, too. It fits true to size.